We have a new margarita recipe that is going to wow your taste buds. These Key Lime Margaritas are the perfect blend of tart and sweet! Anyone else love tequila as much as we do? We are always in the mood for a tasty margarita, and these Key Lime Margaritas only need 4 ingredients. Can it get much easier? Hello, Happy Hour! 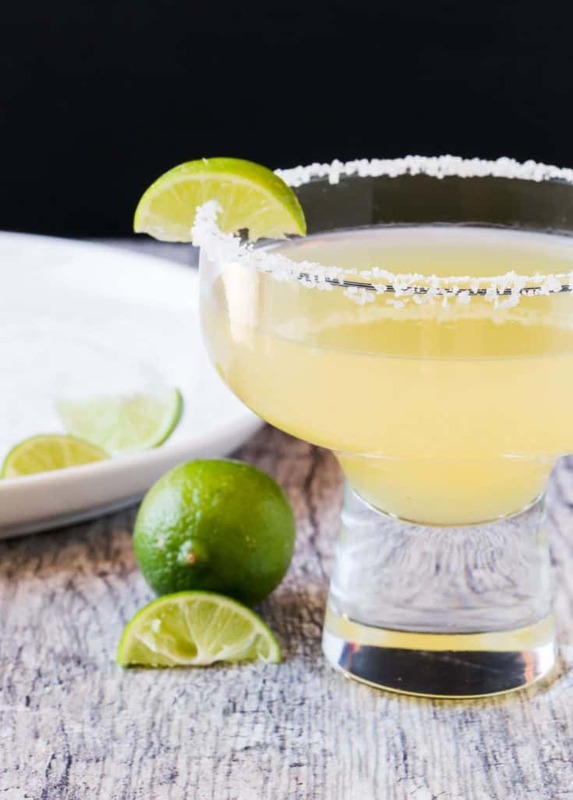 Margaritas are one of the easiest cocktails to make from scratch as the ingredient list is short and the method is foolproof. With such a short ingredient list, using high-quality ingredients makes a huge difference. In other words, you will not regret the time spent juicing the limes. Fresh lime juice makes these delicious cocktails taste amazing! 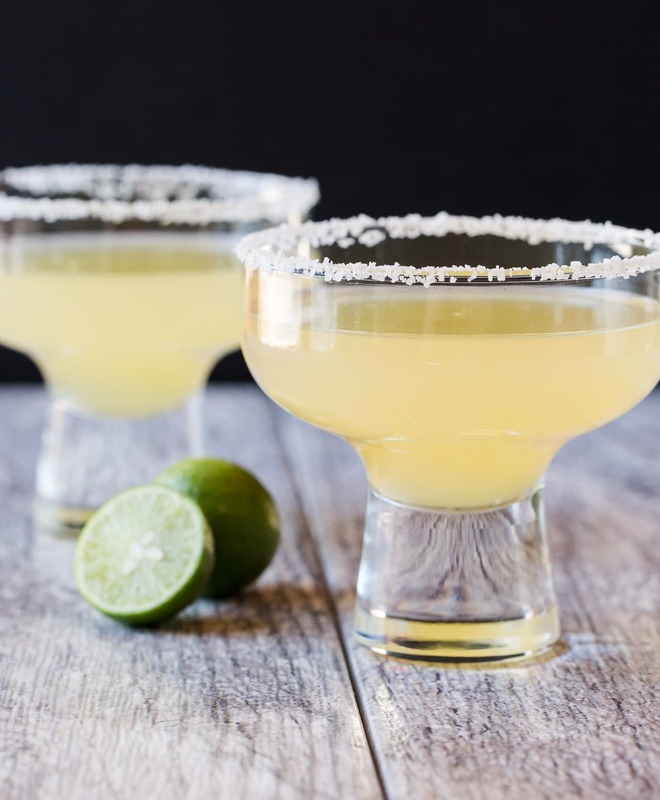 So even if you are a margarita purist and always drink a golden margarita, these Key lime margaritas need to be a part of your next happy hour. And if you are a margarita lover who likes to try new flavors, this is right up your alley. 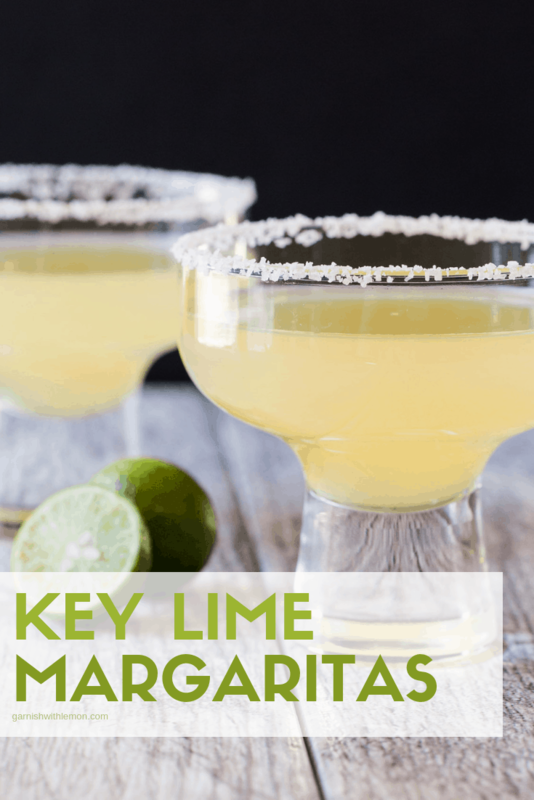 This key lime margarita recipe is a little twist on a classic that instantly transports you to the tropics. We love that the recipe calls for agave instead of simple syrup. It’s the perfect sweetener for the tart lime juice. Add some good tequila and triple sec, and you are in businesss. Just make sure you don’t forget the chips and guacamole. Happy hour isn’t complete without it. Tip: We used silver tequila and triple sec to make this cocktail, but it would taste great with gold tequila and Grand Marnier, too! Fill shaker with ice and add all ingredients. Shake vigorously to mix. Rim glass with salt, fill with ice and add contents of shaker.